Recently, the classic car market has taken off like a space shuttle. Prices of cars that not long ago would be well under $20,000 are all of the sudden going for $40,000 or more. Values of classic air-cooled Porsches are currently very high. It is quite possible that we are in a bit of a bubble right now, but even if so, these cars will remain quite valuable. Even Porsche 914s fetch sums that would have been unthinkable just ten years ago. This week in the Porsche Club of America’s (PCA) E-Brake Newsletter, there was an article that said now is the time to buy a 986 generation Porsche Boxster. The article partly based the reason why we should purchase a 986 now on the current 914 market. When the 1997 Porsche Boxster was released, the 914 was just over 20 years old. At the time, adjusted for inflation, the price of a used Porsche 914 was about $8,000. Interestingly enough, a decent early 986 Boxster is about 20 years old now and will cost you about $8,000. 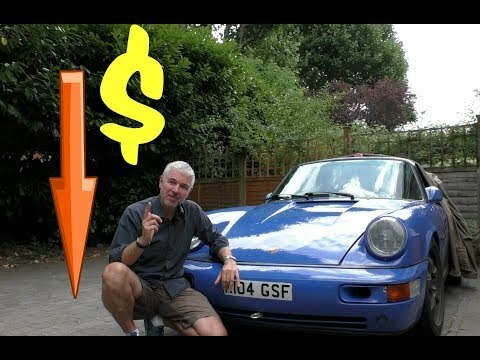 Does this mean you need to buy that Boxster in the near future before prices climb? When it comes to sports cars there are a few marquees that show you have made it. Included in this list are Ferrari, Lamborghini and Porsche. Of these three Porsche is the most attainable of the bunch, yet they build cars that rival the performance of the Italian cars we mentioned. All this while largely being dependable and relatively practical, for the type of car. New Porsche sports cars, even the “entry level” Cayman (for those not aware the Boxster now sits above the Cayman in the model lineup) are too expensive for most folks (with the 718 Cayman starting at over $55,000 and you know you’ll want some options on top of that). Fortunately, the used market provides enthusiasts with plenty of options. Below are what we think are currently the best 5 bargains for those looking for an affordable Porsche. This list includes cars that can be found in fair condition for low as $3,500. This means Porsche ownership is available to just about anyone in the market for a sports car. Over the next few weeks we’ll highlight the below models with their current market value as well as common issues that you need to know about before purchasing a cheap Porsche. If you haven’t subscribed to Daily Rides do so now to make sure you don’t miss an article (scroll down to the end of this article to signup). Today’s post will cover the air-cooled, mid-engined Porsche 914. 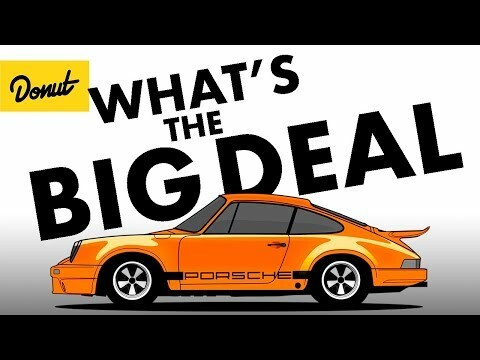 If you have not owned a Porsche and are thinking that it is time to get into one, what should your first Porsche be? Sure it would be easy to just saw the latest 911, 718 Boxster or 718 Cayman and call it done. However, if you have the cash for a new Porsche then the cars in this series are not for you (with a few exceptions). These are cars for someone that is wanting to get their first Porsche, but they don’t want it to break the bank. All of them can be had for under $30,000 with some being as low as about $5,000 for a running car in good condition. With a lower budget a buyer is likely to want a car that they can do the routine maintenance themselves. It also needs to be fairly dependable as it may double as a commuter car as well as a weekend driver. Below is the list of Porsche’s that we think best fit this criteria. Over the next few articles we will cover each model, so make sure to subscribe to our updates now (scroll down to get our daily updates in your email box for free). Today we cover the second car on our list which is the Porsche 914.